For the person who loves to entertain, a well-stocked bar is a must. Spirits and wines that cater to a variety of tastes help to keep the conversation and good times flowing. Bartender guides, mixology tools and, of course, beautiful stemware are all must haves for the at-home bar. The question is: where do you store it all? Keeping it on display and within reach can certainly be a design challenge. 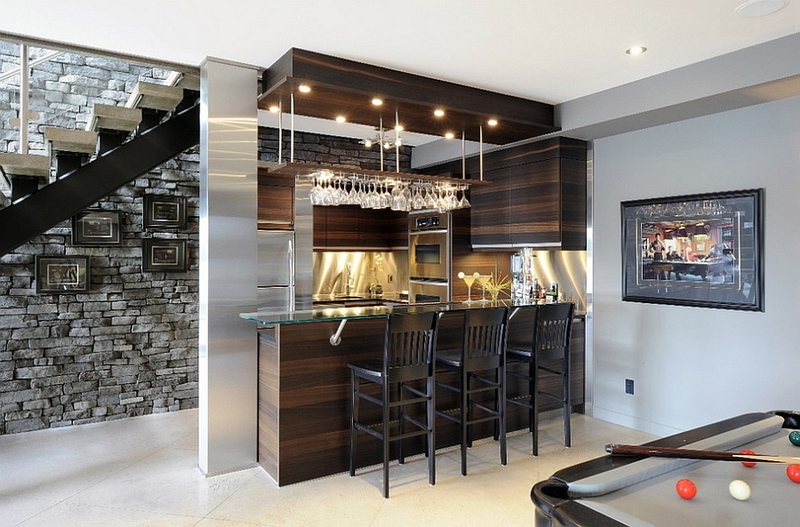 Bar carts or trays, fully stocked and extravagant basement bars, or a corner on the dining room buffet are all fantastic options. But what if you need more than a bar cart and don’t have the space for a full-sized bar? Then it’s time to look up! Utilize the most under-used part of any home: the vertical space. Finding inspiration from sites like, Chairish, makes it easy to turn a bookcase into a beautifully designed entertaining piece. So gather your wine and spirits and create the bookcase bar! A gorgeous vintage bookcase, like this one from Timothy Oulton, is the perfect solution. Tucked in a corner, but easily accessible it becomes a beautiful statement piece in any home. Add some unique bins to store beer and mixers. Display your favorite books, pretty stemware, and vintage bar tools. Need a little more inspiration? Try adding your own vintage barware to any one of these stunning bookcases. Add one part vodka and a dash of vermouth to the shaker. Shake then strain into the martini glass. Garnish with the lemon and raspberry. With your bar essentials on hand, all you need to do is call your friends, pour the drinks, and make a toast! Cheers! How do you store your spirits? I love the idea of a vintage bookcase bar! It’s so unique and vintage looking. Love the idea of using a vintage bookcase as a bar! What a great way to display your glasses/stemware (and not take up too much real estate!). Thanks for sharing 🙂 Also that bar cart is adorable!